DAY 01 | WELCOME TO BOGOTÁ! Welcome to incredible Colombia! Arrive in Bogota and embark on an exciting journey through a country that has so much diversity and beauty it will take your breath away. Upon arrival you will be greeted and taken to the renowned Sofitel Victoria Regia, located in one of Bogotá's most cosmopolitan and bustling neighborhoods, perfect for walking and exploring the many restaurants, shops and bars. In the evening, head to Monserrate Hill to enjoy an amazing view of the bustling metropolis. Here you have the option enjoy a nice dinner before you are taken back to the hotel for the evening. Today is your chance to explore the Colombian cuisine. Unlike any other taste testing, you will be your own chef in this unique experience. You will have a Colombian cooking instructor taking you through the process of a meal preparation in her home. You will be taken to the local markets to buy your ingredients while getting all the secrets to preparing the best “Ajiaco” in town. It will be like no other potato soup you have ever tasted. You will surely be surprised by how delicious Colombian cuisine really is! After this unique local experience, head out on a walking tour in the historic downtown of Bogota, including La Candelaria - with its magnificent churches - the government palace and Plaza Bolivar. Visit the Gold Museum, which holds one the biggest collections of gold pieces worldwide, and the Botero museum, to marvel at the many great art works of the famous Colombian artist, including the “Mona Lisa” in exaggerated shape. At night, dive into the flavor of Colombia and get an insight on Colombian salsa by learning your first steps! In the famous salsa bar Galeria Café Libro, a group of professionals from the Paso Latino dance academy in Bogota will instruct you, helping you learn how to get your feet and body moving to salsa music. Here you will also enjoy a delicious dinner and, if you’d like, you can stay for the party night afterwards and enjoy live music. Check out after breakfast and head to the airport for your flight to Pereira. After arriving at the airport of Pereira, your driver will stop at the picturesque colonial town of Filandia for an unforgettable dinner at the renowned concept restaurant, Helena Adentro. After dinner, you’ll be dropped off at Hacienda Bambusa, a working plantation nestled in the most lush and exotic depths of the Coffee Triangle. With only eight rooms, Hacienda Bambusa offers the perfect escape for couples, families or any traveler who simply loves nature coupled with understated luxury. After a delicious breakfast, begin your guided exploration of Hacienda Bambusa, which can be done either on foot or on mountain bike. Bambusa is more than just a beautiful place to stay, the 500+ surrounding acres are actively cultivated with fields of cacao, plantain, tangerine and herds of white Brahman cattle – as well as a rich diversity of native flora and fauna. Together with an expert biologist guide, you will explore miles of trails crisscrossing the Haciendas’ cultivations to learn about the growing process of the Hacienda’s products – with an emphasis on Cacao (the chocolate seed), which is the number one crop grown at Bambusa, and unique in this region which is so focused on coffee. Apart from the commercial cultivations, Bambusa has lush forests of “Guadual” (Bamboo) which hosts an amazing variety of bird life. In the morning you will go on an extraordinary experience – a hot air balloon ride over the amazing landscapes of the coffee region. Declared 2011’s World Heritage Site by UNESCO, this region is full of incomparable beauty, life long traditions, impressive architecture, rich coffee plantations, native forests and strategic corridors for the conservation on the global biodiversity. Get your cameras ready because you will witness beautiful sceneries from 500 meters up in the air. In the afternoon, learn everything about the world of coffee. A coffee expert will guide you through the entire process experienced by a little coffee bean! From its growth on the plantation to your finished cup of fresh coffee, gain first hand knowledge and local secrets of planting, harvesting, washing and drying the coffee. Get carried away by the scent and taste of one of the world’s best coffees! After breakfast, depart Hacienda Bambusa and head to the airport in either Pereira or Armenia for your flight to Cartagena. Upon arrival you'll check into your hotel, the historic Casa Pestagua, a Relais & Chateaux property. Prepare for an afternoon discovering the famed walled city, one of the main destinations for culture and history in Colombia – also known as the “Pearl of the Caribbean.” The city combines impressive modern and colonial architecture created by the Spanish. It preserves the memories of the struggle from that time. In 1984, UNESCO declared Cartagena as a World Culture Heritage Site. During the city tour, visit two monuments of great historical value to the old city. San Felipe de Barajas, the largest and most important fortress, nearly 480-years-old, built to defend the city from many battles occurring during that period, and the monastery and church of La Candelaria on the hill La Popa will provide you with the best views, including the Caribbean and the heroic city. Today you'll have the option of booking an optional tour or simply strolling through the charming and romantic alleys, admiring the impressive colonial buildings as well as the history told by the city walls. You can also enjoy the nice warm, breezy weather in one of the beautiful natural parks in Cartagena. This city holds so much history and beauty with its Spanish influenced architecture, you will have plenty to discover. If you're looking for a unique opportunity to experience local sounds and learn about the Afro-Colombian experience, you might want to consider our unique Drum Workshop. This experience will take you to the magical nearby afro-town of La Boquilla, where the local culture bubbles everywhere. Enjoy a day trip that includes transportation to and from a drum class in the culture house of La Boquilla, a session of hands on drum therapy, and typical fresh fish lunch at Restaurante Donde Angel. There you can spend a couple of hours at the beach or choose to go on a beautiful tour (optional, not included in the price) through the mangrove. Enjoy your final courtyard breakfast at Casa Pestagua before departing for your flight to the island of San Andres. Upon arrival, your private driver will transfer you to Casa Harb, the island's premier property. 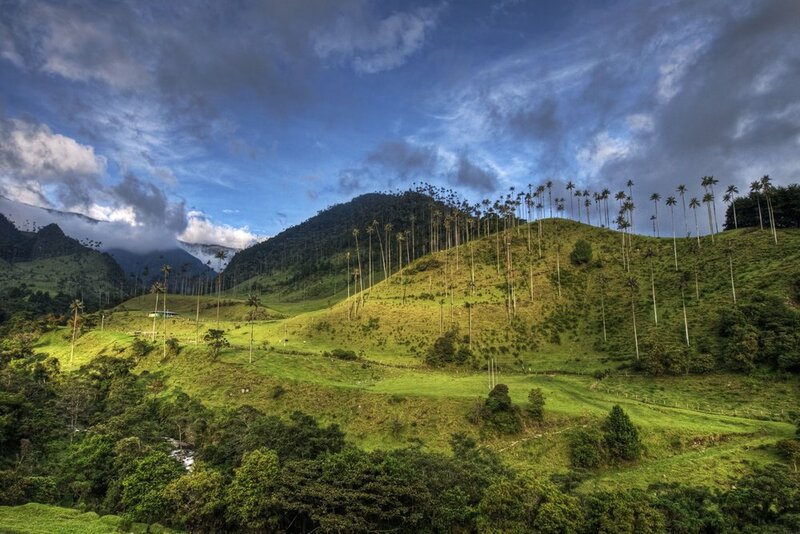 Explore the island during the evening, a favorite destination getaway for Colombians. Early in the morning, you will be taken to the airport in San Andres to take your 30-minute flight to the island of Providencia. More exclusive and quiet than the tourist-oriented San Andres, you will find yourself in absolute paradise in Providencia. Both San Andres and Providencia consist of 2 groups of Isles and 8 different coral reefs all laying about 775 kilometers northwest off the mainland of Colombia. A snorkeling or diving tour would be the best way to admire the colorful underwater world! The transfer from the airport will take you to your hotel, Deep Blue, where you will enjoy a refreshing welcome drink and possibly take a dip in the pool overlooking the beautiful Sea of Seven Colors. One of the best ways to discover the most magical parts of the San Andres archipelago is to kayak over to Crab Cay. At no extra cost, depart from the dock for a 10-minute journey to the Sea of Seven Colors that surrounds Crab Cay and the McBean Lagoon National Park. Go in the afternoon and you might have this idyllic little island all to yourself. On your journey, kayak through the mangroves of the McBean Lagoon. If you have no kayaking experience and would like to explore this, a guide can be arranged at an additional cost. Another great way of exploring the island of Providencia is to hire a Kawasaki Mule, or golf buggy, and with a map in hand, discover any one of the numerous beautiful beaches in the area. You can choose from Manzanillo Beach, South West Bay, Almond Bay, or Freshwater Bay. It is also recommended to drive up to town center and walk over to Lovers Bridge, which connects Providencia to Santa Catalina. 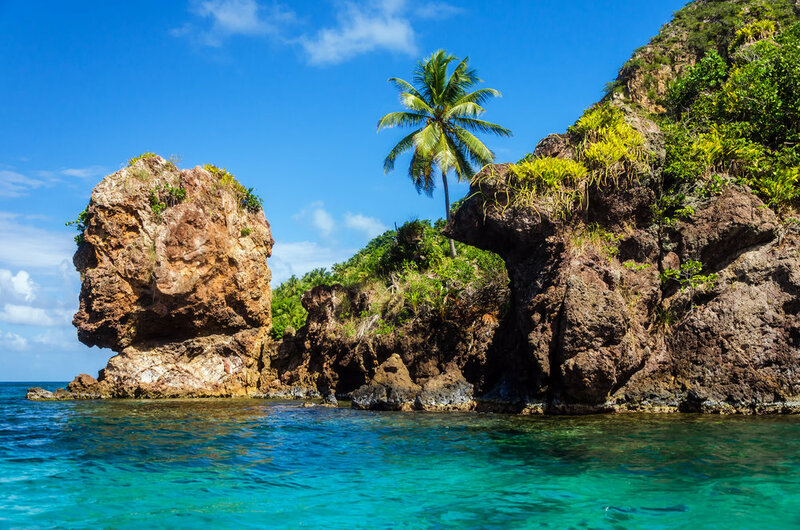 Santa Catalina houses an old pirate fort, a few secluded beaches, and Morgans Head – a large rock formation named after pirate Henry Morgan because of its resemblance to him. In the evening you can choose to dine out at one on the many local restaurants in the city (not included) then head out for an exciting Caribbean night at Roland’s Reggae Bar on Manzanillo Beach or Richard’s Palace on South West Beach. As recommended by Travel & Leisure Magazine, “Best Secret Islands on Earth”, May 2011. The best way to experience Providencia and the Santa Catalina Islands is by sea. Discover small offshore islands, secluded coves, beautiful beaches and amazing snorkeling sites including the Old Providence Barrier Reef. As a unique experience, you will be taken out to either sport fish or spearfish so you can catch your lunch (Don’t worry, you will be guided)! You will then either go to a remote beach in Santa Catalina Island or a tiny island located 15km north of Providencia – Low Cay – so your guides can prepare and cook your meals. The rest of the afternoon is free to explore, snorkel or simply relax. Additional tours can be tailored to suit your preferences. We suggest visiting the idyllic Crab Cay and the McBean Lagoon National Park if you haven't already done so. Lunch and ice cold drinks are included in addition to snorkeling equipment and sport fishing gear. Tour Length – 7-8 hours. As all good things must come to and end, today is the day you say goodbye to this beautiful country. Your driver will take you to the airport in Providencia for your departing flight to San Andres, where you can connect to Bogotá for your departing flight home. Until next time!